A couple of weeks ago I found this chair at the Rose Bowl flea market. It’s Danish and made of Walnut. When I bought it, it had a hideous covered seat – dirty pale pink with a faded floral pattern from the ’80’s I suspect. 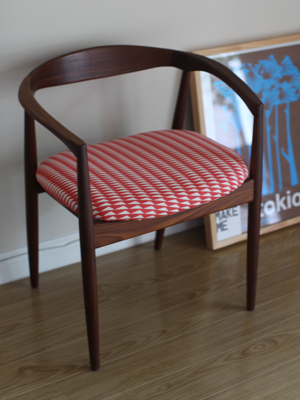 This got me excited … it meant I could reupholster the seat myself, with some of my fabric! 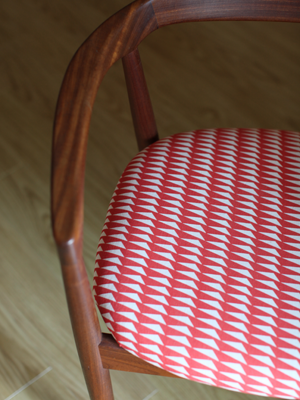 This is the first time I’ve upholstered something. I replaced the old layers of rotting fabric, disintegrating foam, wadding, old staples and masking tape and covered it with one of my space-to-think geometric fabrics. 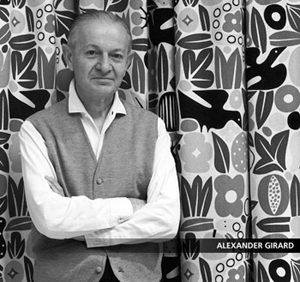 Alexander Girard (1907 – 1993) is another favourite designer of mine. Girard’s work combined the timeless lines of the modern with the playfulness and bold color of Latin American folk art. 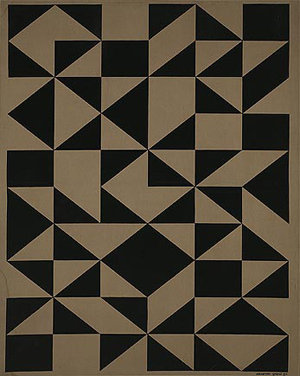 These geometric designs are very similar to the Anni Albers Eclat design here. 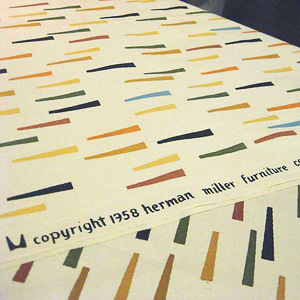 There is a beautiful cushion, covered in a limited edition lined fabric design by Girard, in the Eames Office in Santa Monica that I have been yearning after for ages. Every so often I go in and gaze at it! 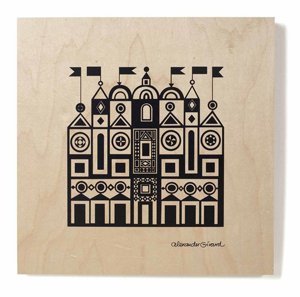 The official agent to the Estate of Alexander Girard responsible for re-introducing Girard designs to the contemporary marketplace is máXimo. Showers 1958, as seen here. 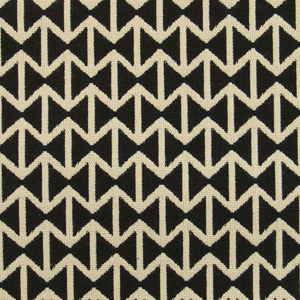 Eclat was designed by weaver and printmaker Anni Albers. 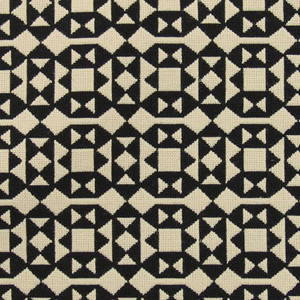 She originally designed it in 1974 as a printed upholstery, but now Knoll Textiles has reintroduced the pattern as a woven textile named Eclat Weave, available from Knoll for $61 per yard. 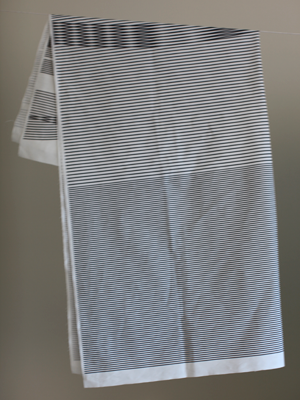 I absolutely love this fabric and was so excited to spot it in Elle magazine. 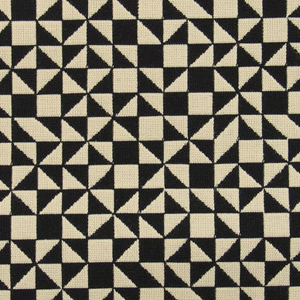 In fact I’m a big fan of Anni Albers work in general and aim to write another post about her very soon! The other day an exciting parcel arrived at my door – a copy of Pattern Factory (aka ‘Pattern Department‘ in Japan) by Ayako Terashima, published by Collins Design. It’s a beautifully selected and put together book, showcasing patterns by contemporary artists and designers. I know Ayako has been working hard on this project for some time now. I’ve been waiting to see the results ever since she invited me to shoot the designer & director Mike Mills in his studio, for the book’s chapter on ‘Ideas, Process + Output’ back in February. 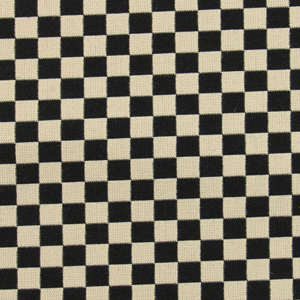 A refreshing collection of unexpected and unusual pattern designs; be ready for a lot of nice surprises in this book! Mike Mills (featured in Chapter 2: Ideas, Process + Output). Studio photography by Lucinda Newton-Dunn.